Ware Washing by Sammic is conceived as a complete solution able to adapt to each kind of user’s needs. We offer a wide product range to satisfy the Ware Washing needs of each one of them. Thus, Sammic offers different solutions as per capacity, production and performance, from a basic glasswasher to rack conveyor dishwashers, complementing the range of ware-washing equipment with cutlery dryers-polishers as well as a wide range of accessories. 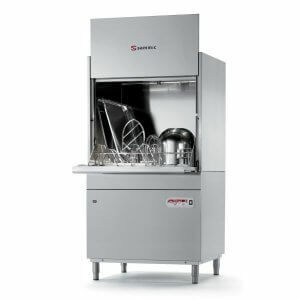 Commercial multi-phase dishwasher with 3 wash cycles, wash and rinse temperature display and thermal cycle delay option. X-50 dishwasher is equipped with a high quality electronic panel complete with wash and rinse temperature display. Power Supply 15 Amp single Phase. Double skinned door with high efficiency seal, ensuring thermal and acoustic insulation. Easy to assemble, bolt-less rinse spray arms. Automatic detergent & rinse aid dosing equipment. Thermal cycle delay option, which guarantees a minimum final rinse temperature of 85ºC for each and every rinse cycle. • Ideal to wash big sized pots and wares. • Constructed from stainless steel. • Door divided in two parts, perfectly counterbalanced, easy to handle. • Double skinned machines: silent working and reduced thermical dispersions. • Wash tank without corners to avoid dirt accumulation in angles. • Stamped wash dispersers in stainless steel tubes. • Easy to remove wash- and rinse dispersers. • Safety micro switch at the door and electronic safety device to guarantee washing temperature and time. • Electronic control panel with LED showing wash and rinse temperature. • 1 stainless steel basket and insert for 4 trays. • Option of drain pump and non-return valve. • This machine has been designed and manufactured in accordance with the specifications laid down in European directives 89/392/EEC and 73/23/EEC. • Please note: as a result of continuous product improvements, these specifications are subject to change without prior notice. Cycle length: 180/ 360/ 540 secs. Production baskets/hour: 20/ 10/ 6. Wash temperature: 40 – 70ºC. Rinse temperature: 70 – 95ºC. Basket of 1350 x700 mm. Sammic have long been industry leaders in commercial equipment for the hotel and food service sector and offer an extensive product range, including an impressive selection of ware washers. Known worldwide for their innovative designs, quality products and attentiveness to the needs of the market and users, Sammic’s market-leading products are a smart choice for all Australian businesses. Warewashing Solutions supplies an extensive range of Sammic glass, dish and utensil washers. Our experienced team members are always on hand to provide you with informed, specialist advice and welcome the opportunity to advise you on the latest warewashing products in the Sammic range. We are based in Sydney but provide kitchen solutions right across Australia. 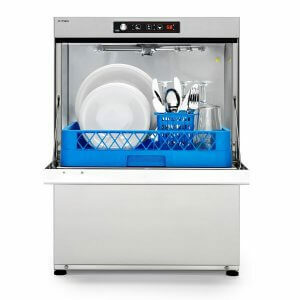 Those who operate a small hospitality or catering establishment, care home, or any business which requires clean, sanitised crockery, will be impressed with the Sammic range of quality dishwashers. 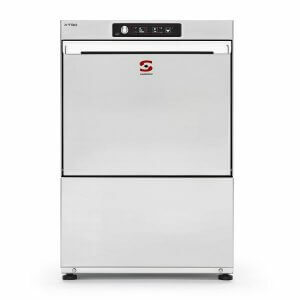 Sammic’s dishwashers deliver professional results every time, are intuitive and very easy to use. All products feature a sturdy stainless steel construction and removable stainless steel rack holders, high efficiency seal to deliver both thermal and acoustic insulation, and easily removable filtration system which enables easy cleaning and maintenance. The premium quality models in the Warewashing Solutions’ range incorporate top quality components, offer a range of cycle times to deliver flexible dishwashing solutions and sit under the counter, maximising space in the kitchen. 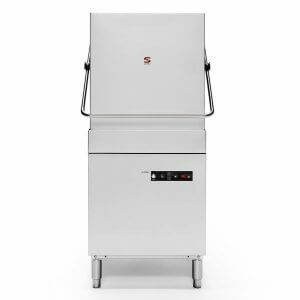 Catering and food service businesses which require a separate glass washer will find the Sammic range of commercial glass washers is sure to tick all their boxes. A strong, stainless steel construction with double skinned door for quiet operation surrounds an impressive pump and filtration system, with precision positioned water jets and removable racks delivering a powerful and thorough wash, without dead zones to deliver optimal glass washing results every time. As with all Sammic’s premium quality warewashing products, their range of commercial glass washers offer minimal energy and water consumption, an important consideration for all budget-conscious businesses in an era of escalating energy prices. 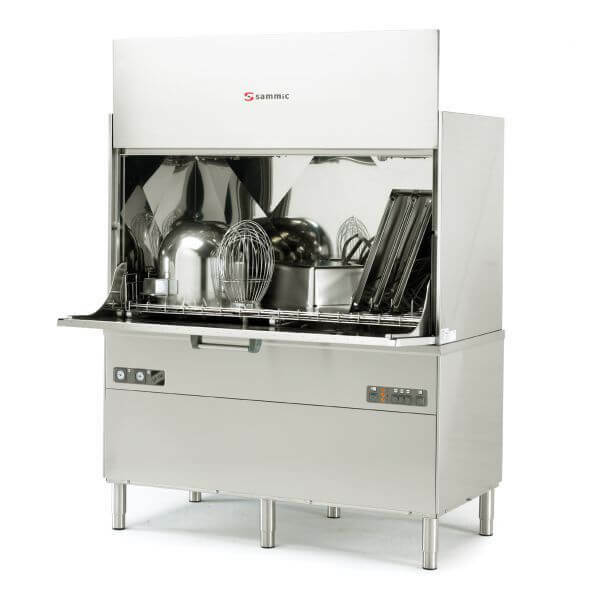 Small businesses such as restaurants, food caterers, bakeries and butcheries which require a small commercial utensil washer would do well to consider a model from the Sammic range. Extremely powerful yet offering minimal energy and water consumption, the innovative design and high-quality components combine to deliver outstanding results that leave pots and utensils clean and completely hygienic. As standard across the entire Sammic range of ware washers, the wash and rinse dispersers, trays and baskets can be quickly and easily removed, allowing for easy cleaning. Combined with a corner-free wash tank which reduces dirt and grime build-up that can impede performance, Sammic glass washers are easily kept clean and hygienic. If you would like to learn more about the Sammic range of glass washers, commercial dishwashers and utensil washers, please get in contact with Warewashing Solutions on 1300 217 411 or complete the enquiry form below and one of our specialists will be in touch to discuss your requirements. If you’re looking to get additional equipment in the near future, lease it NOW with FlexiCommercial. The silverchef Rent-Try-Buy® solution is an agreement that lets you try before you buy and gives you several flexible options to choose from throughout the term of your contract. Upgrade equipment at any time. Purchase equipment at any time and receive a 75% net rental rebate on your payments made in the first year.